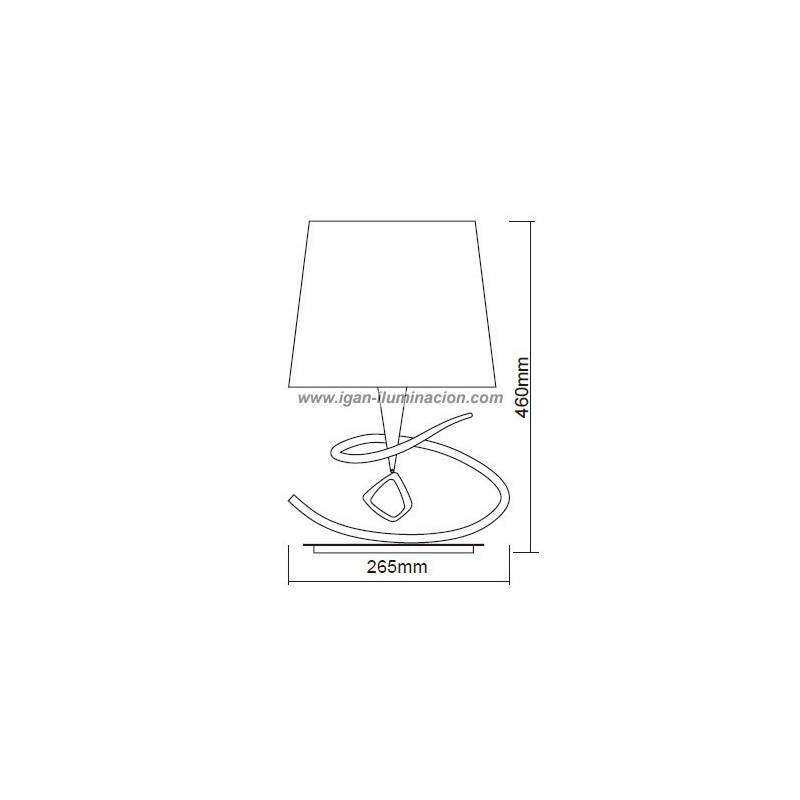 MANTRA Mara table lamp 1L 46cm in chrome metal and fabric screen circular in off-white. 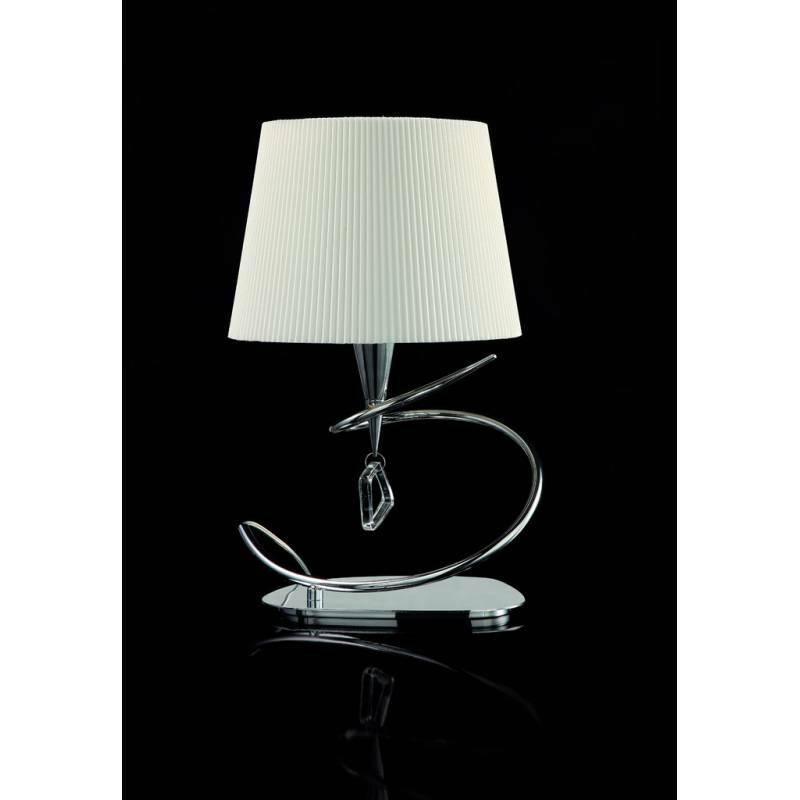 MANTRA Mara table lamp 1L 46cm in chrome metal and fabric screen circular in off-white. Mara is a collection of elegant and simple forms that interlace and rotate their profiles conical generating three-dimensional structures of visual motion. Given the successful experience of its predecessor, the EVE collection, Mantra presents this collection in order to offer a product in the same line, expanding the proposals. That's why, even with its simplicity of lines and similar simplicity, it provides a series of peculiar details of glass, along with a few enfilajes and screens of different format, making an obvious visual difference. 1xE14 20w Max.